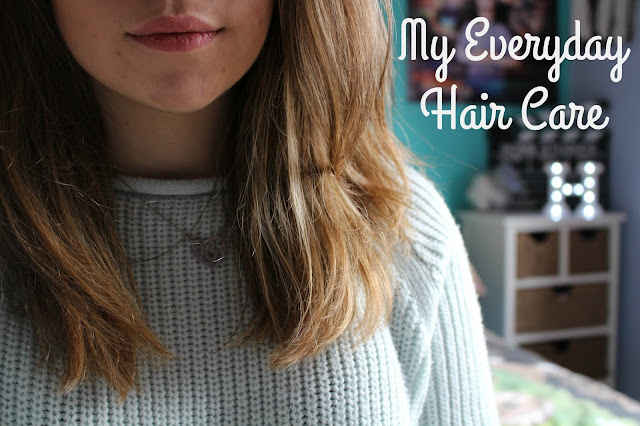 As you can all probably tell from the title of this post I am going to be talking about hair! About a year a go now a cut all my hair off and added a little of blonde. Since I changed my hair I had to find new ways to do it and I still don't really know what I am doing with it as I've never been that good with hair but I wanna show you guys what I do with my hair now and what products I use too. To start I always struggled to find the right shampoo and conditioner which would work on my hair without leaving it oily or dry. I've been using the TRESemmé shampoo for dry hair and their conditioner for normal hair and I have to say I love it! Sounds kinda stupid but I always dry my hair with the towel first otherwise it takes absolute ages to dry and it's the quickest way to get rid of excess water of the ends of your hair. Argon oil helps restore the goodness and put it on the ends of the hair as it adds more moisture but not the roots as it makes it look oily and greasy. Heat protect spray is really good to use as obviously it protects the hair from splitting and the ends snapping when you're curling or drying it. I use TRESemmé Care and Protect Styling Spray. Get a comb and find in your parting. After you've got it take the hair dryer and dry the roots of your hair around the parting and then dry your hair from upside down. Once you've dried your hair I use straighteners on 180 degrees which is never full temperature as I don't want to totally destroy the ends of my hair. To make it easier I tie the top section up in to a little bun or alternatively you can use a clip. I then take the underneath and do so by taking small sections of hair and straightening. So basically do this for the rest of your hair. After I've straightened, this is going to sound weird but I tip my head upside down and give it a good shake and when i flip my head up my hair has volume and doesn't look stuck to my head. And you're done, it's pretty simple and I think having healthy hair to me is important as lets be honest no one wants dead limp hair with split ends. Ever since cutting it shorter it's been so much easier to deal with and style. If anyone was interested I might do my favourite 4 everyday go-to hairstyles? Also I've set up a YouTube channel so if you'd want a video tutorial comment below.